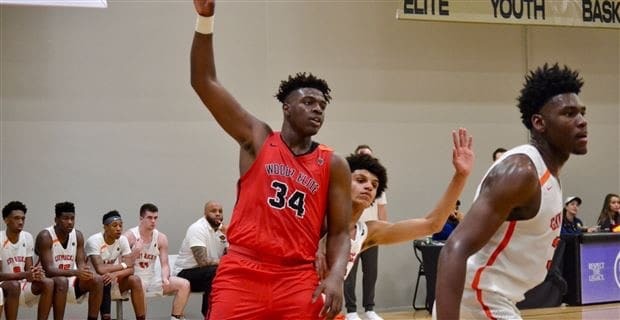 After a week that has seen three players transfer out the movement within the Gators’ roster continued as they landed another 2019 recruit in 6’10”, 270 pound center Jason Jitoboh from Hamilton Heights High School in Chattanooga, Tennessee. A high 3-star or low 4-star depending on your scouting service of choice, Jitoboh’s bulk on the inside made him a sough-after player by schools in the southeast and while earlier in his recruitment it was thought Louisville had the best chance at landing him his final schools were Florida, UCF, and Tennessee with the Gators coming out on top. Jitoboh’s size tells you a lot about the way he plays. He can finish around the hoop when he gets the ball down low at the high school level though he’ll probably need to improve finishing moving forward and he is a rim protector with the latter skill being something that could help him have a fantastic basketball career. Florida’s frontcourt coach Al Pinkins will have the role of shaping him into the best player he can be and with his size his ceiling as a player is sky high. One of the things that slowed Jitoboh’s recruitment was a broken foot that plagued him and scared off a lot of coaches. Foot problems have ruined the careers of a lot of big men and with Jitoboh’s size the injury is worrisome. 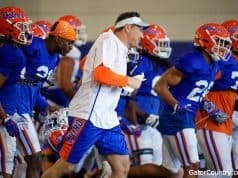 While many coaches lost interest after the broken foot the Gators kept pushing and didn’t let it deter them and that ultimately was one of the biggest reasons he chose Florida. The loyalty they showed in recruiting him paid dividends and now the Gators have a player with the rare size needed in the paint at the SEC level. 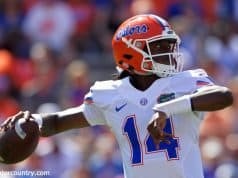 The way the roster is currently constructed Florida has a ton of players at the center position in addition to Jitoboh including Dontay Bassett, Isaiah Stokes, Gorjok Gak, and Omar Payne and it’s also likely the Gators will be looking at a graduate transfer center to start on the team. This makes me think Jitoboh will be taking a redshirt season to start him time in Gainesville which would be excellent for the continued recovery of his foot as well as sharpening his skills and working on his physique. He won’t be relied upon to come in and play right away and a formative year could really help shape his career positively. Ever since Egbunu got injured the Gators have missed having a massive player at the center position and Jitoboh offers that. He will have to work on his side-to-side movement to be a capable defender in college and he might have to trim a bit of that 270-pound frame to reach his potential. First and foremost he needs to get 100% after the foot injury and from there we can see a little bit more of who he can be. 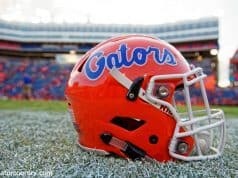 Players with his size don’t grow on trees and the Gators got a rare player with some upside today.